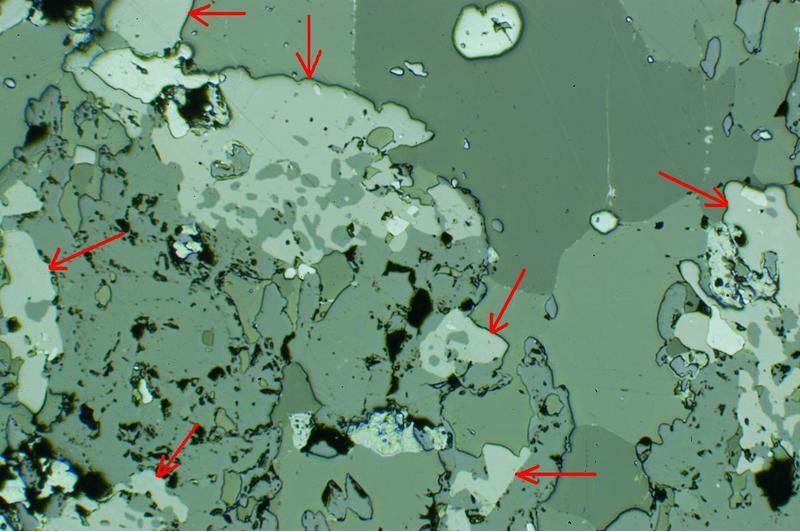 Manganostibite: Mineral information, data and localities. In allusion to the composition, containing MANGANese and antimony (Latin = STIBium). This page provides mineralogical data about Manganostibite. Embedded grains exhibiting crystal outlines at times. Nearly opaque rods and fibers with positive elongation. Hausmannite 2 photos of Manganostibite associated with Hausmannite on mindat.org. Jacobsite 1 photo of Manganostibite associated with Jacobsite on mindat.org. 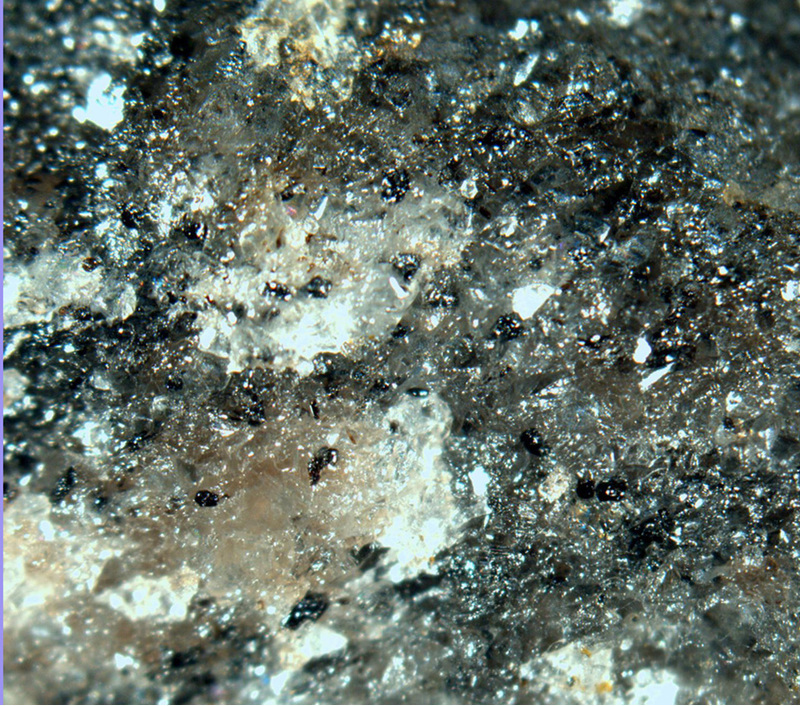 Katoptrite 1 photo of Manganostibite associated with Katoptrite on mindat.org. Manganosite 1 photo of Manganostibite associated with Manganosite on mindat.org. Totally soluble in HCl; partly soluble in HNO3. Igelström (1884) Geologiska Föeningens I Stockholm. Förhandlinger, Stockholm: 7: 210. Igelström (1884) Bulletin de la Société française de Minéralogie: 7: 120. Larsen, E.S. (1921) The Microscopic Determination of the Nonopaque Minerals, First edition, USGS Bulletin 679: 104. Larsen, E.S. 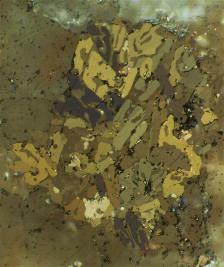 and Berman, H. (1934) The Microscopic Determination of the Nonopaque Minerals, Second edition, USGS Bulletin 848: 206. Palache, C., Berman, H., & Frondel, C. (1951), The System of Mineralogy of James Dwight Dana and Edward Salisbury Dana, Yale University 1837-1892, Volume II. John Wiley and Sons, Inc., New York, 7th edition, revised and enlarged, 1124 pp. : 1027. Moore, P.B. (1970): Manganostibite: a novel cubic close-packed structure type. American Mineralogist, 55, 1489–1499. Dunn, P.J. (1986): Manganostibite: new chemical data, and its relation to kolicite and holdenite. Geol. Fören. Förhandl. Stockholm, 109, 101–102. 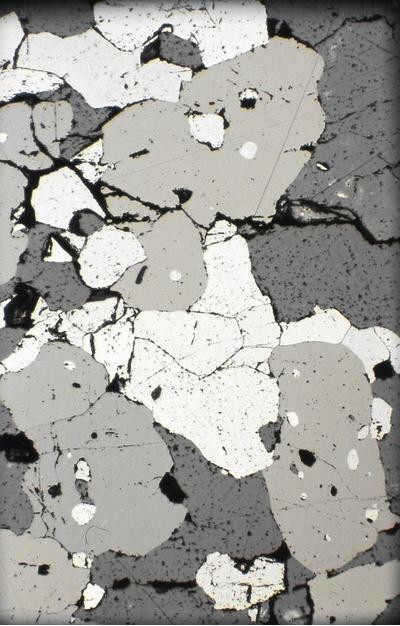 American Mineralogist (1988): 73: 667. Geologiska Föreningens I Stockholm. Förhandlinger, Stockholm (1884): 7, 210; Mineralogical Magazine (1978): 42, 133-136. Palache, C., Berman, H., & Frondel, C. (1951), The System of Mineralogy of James Dwight Dana and Edward Salisbury Dana, Yale University 1837-1892, Volume II: 1027.